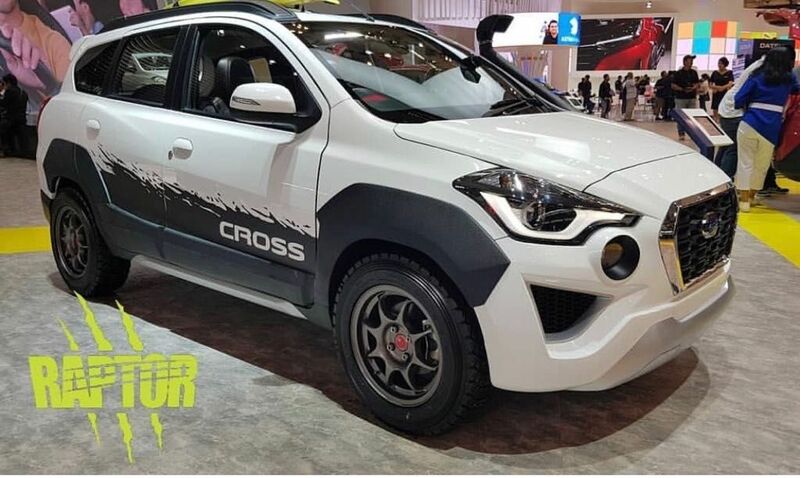 Datsun has showcased Cross special edition at Gaikindo Indonesia International Auto Show 2018. 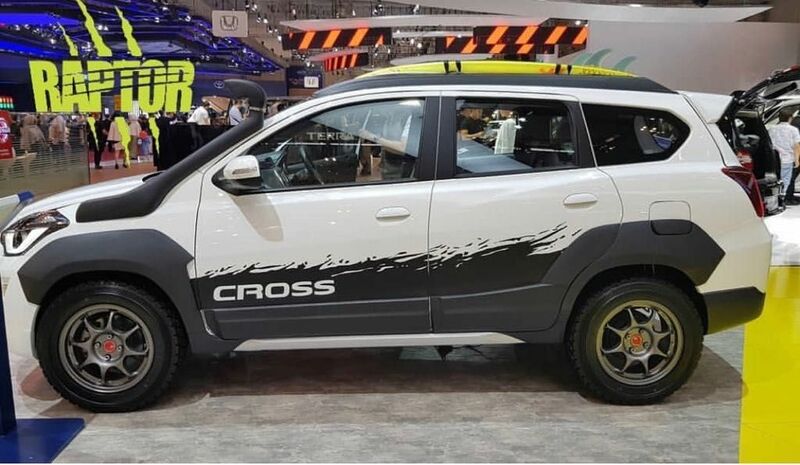 The Cross is the production model of Go-Cross Concept, which made its global debut at Tokyo Motor Show in 2015. Datsun Cross is based on Go Plus MPV but the Japanese manufacturer has made so many aesthetic changes to differentiate both models. 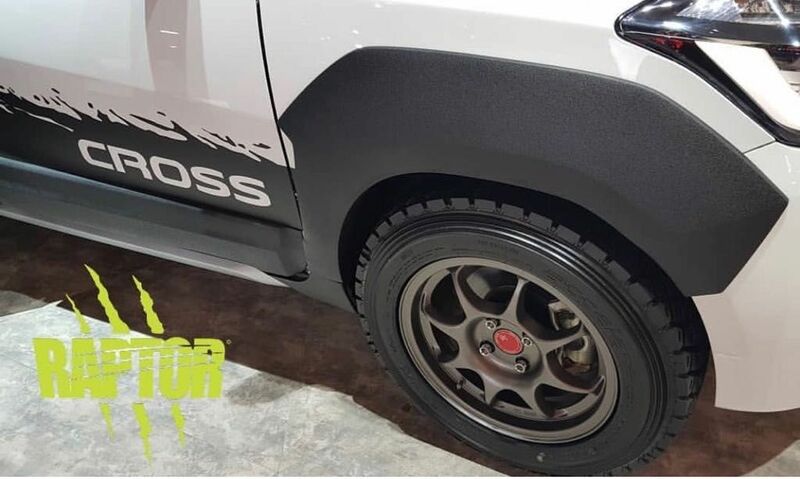 The special edition model showcased at GIIAS is finished in white colour with new sporty looking bumper and the company has also given new body graphics on side with Cross badging. The stock 15 inch alloy wheels have been replaced by new sporty looking wheels and the tyres are also different on show car. Datsun has also given a snorkel on left side and the tail lamps are blackened for sporty look. The interior get some changes like all black theme along with leather upholstery. Datsun hasn’t made any mechanical changes for Cross. The stock Cross comes with projector headlamps with LED DRLs integrated into it. The front grille is finished in black colour and fog lamps are placed below headlamp. Datsun has given black cladding all around the body for SUV looks along with skid plates at front and rear. The Japanese manufacturer increased ground clearance by 30 mm compared to Go Plus and it will help Cross tackle bad terrain without scratching under belly. The Cross also comes with integrated spoiler and roof rails along with chrome exhaust tailpipe. The Cross model get a slightly revised interior compared to the MPV as Datsun has given rectangular AC vents and the dashboard get slightly different materials but the instrument cluster and steering wheel are carried forward. Datsun Cross also comes with 6.75 inch touch screen infotainment system but it doesn’t get Apple CarPlay or Android Auto connectivity. The features list of Cross model is similar to Go and Go Plus. Datsun Cross is powered by 1.2 L 3 cylinder petrol engine producing 68 PS of power at 5,000 rpm and 104 Nm of torque at 4,400 rpm. This engine is mated to CVT automatic transmission and it is tuned to deliver excellent fuel efficiency.